We recently shared the design of a shirt (nice job, Missy!) we’ll be wearing in the AVON 39 walks to raise funds and awareness to fight breast cancer, and lots of people asked if they could get one of the shirts. 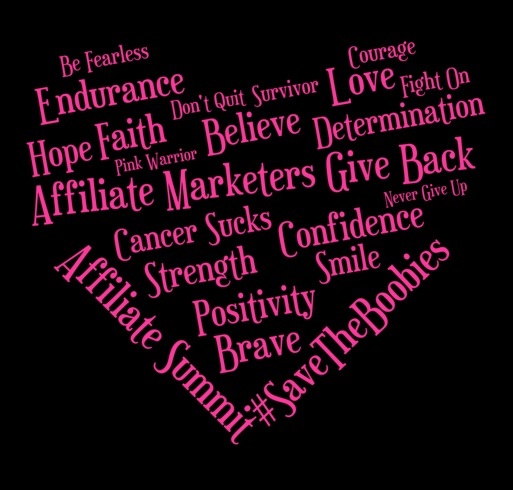 Affiliate Summit recently donated nearly $15,000 to fight breast cancer from the Race to Affiliate Summit West 2015 and $27,000 from the Race to Affiliate Summit East 2014.